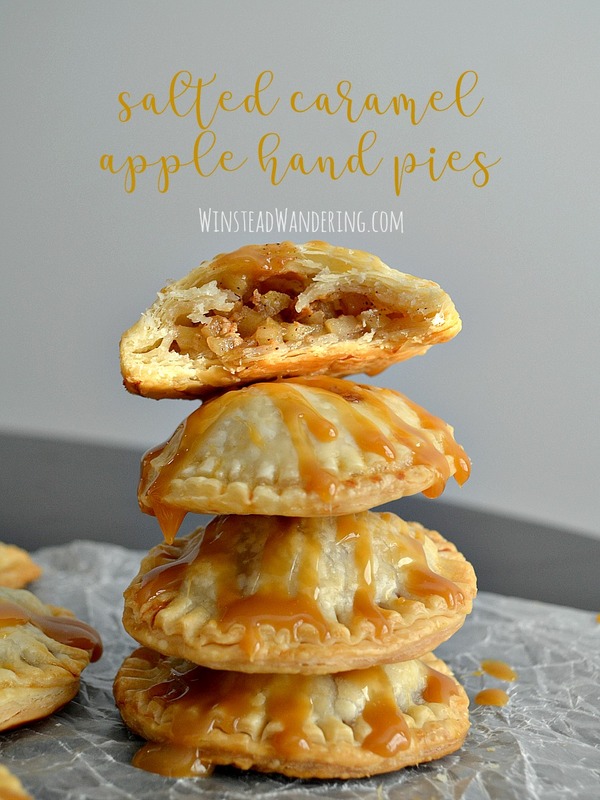 Made with flaky pie crust and chunks of caramel, Salted Caramel Apple Hand Pies are an adorable, mouthwatering version of the favorite holiday dessert. Probably my favorite thing about hand pies is that they’re supposed to be rustic. You don’t get that pressure to make sure the rim of the crust is perfectly pinched, or make a fancy design with the top crust. Instead, you get the freedom to mold the pies by hand, to make imperfect seams and homemade shapes. It’s the perfect scenario for those who love to bake, but don’t care to get fancy with it. Know what else is perfect? 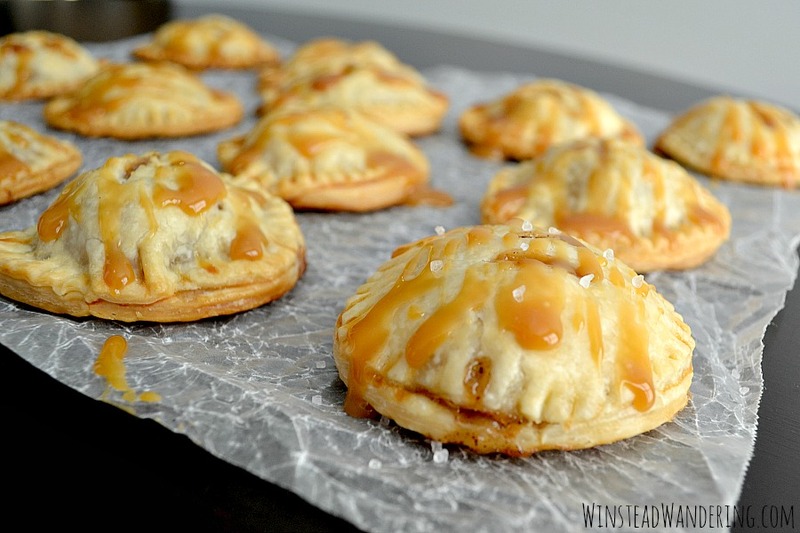 The filling in these Salted Caramel Apple Hand Pies. The tart apples are finely diced to allow them to soften appropriately during the abbreviated cooking time. They’re tossed with traditional apple pie seasonings, and then they just sit for a while as the flavors develop. 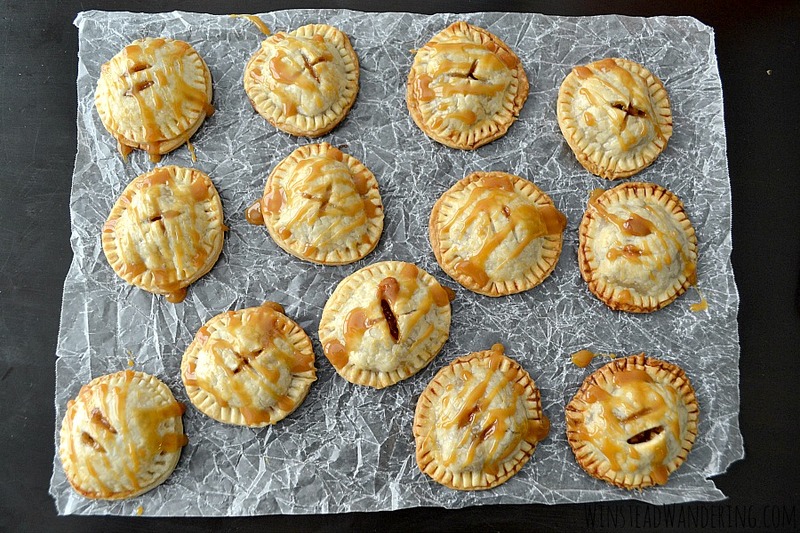 The crust itself doesn’t need to be anything special — I just use a prepackaged kind — because, in addition to the apples, the little pies are stuffed with chunks of caramel and flakes of salt. That right there would be enough, but to take them really over the top, the pies are drizzled with a rich caramel sauce that offers the perfect finished touch. 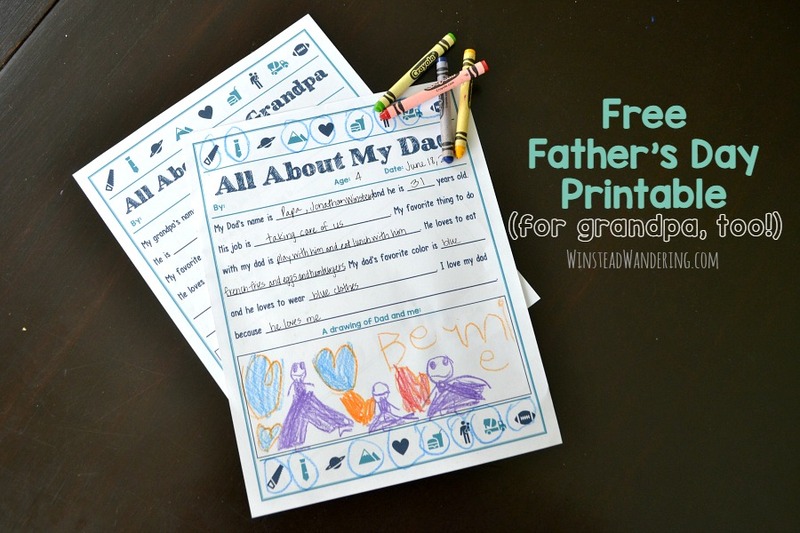 This free Father’s Day Printable is the perfect substitute for a boring store-bought card. Record and commemorate the hilarious memories for years to come. 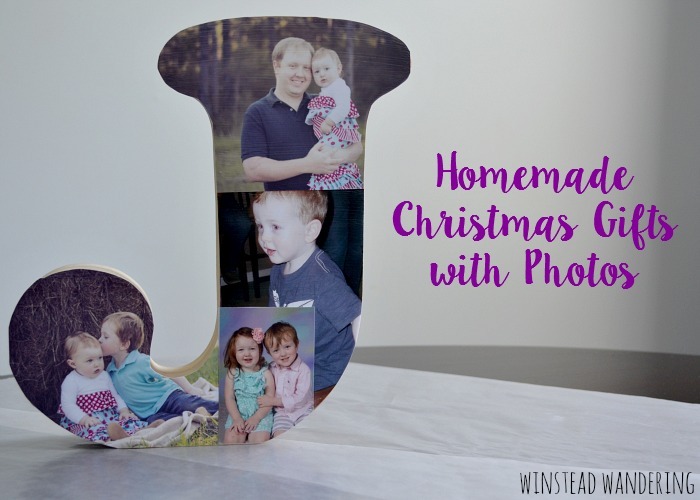 Printables like this first gained popularity several years ago on Pinterest. I didn’t have kids at the time, but I knew this was something I wanted to do when the time came. Now it’s here! I’d seen plenty of free versions around the internet, but as often happens, I decided to make my own in order to get the exact look I wanted. You can get the completely free downloads below! The printables themselves are self-explanatory, but what should you do with them after they’re completed? The simplest option is to give to dad in lieu of a store-bought card. Trust me, this substitute will make dad way happier than a $6 card. 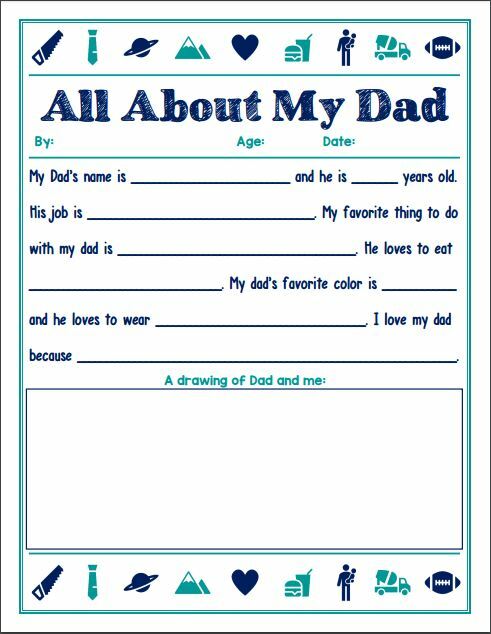 You can easily turn it into a complete gift by purchasing something to go along with your child’s answers (if they’re accurate). Did she remember her dad loves root beer? Buy his favorite brand. Does he know Dad loves to wear goofy socks? Let him pick out a few pairs he thinks his dad will love. Combine the cute questionnaire with a thoughtful child-inspired gift and you’re good to go. I also suggest preserving the interview. 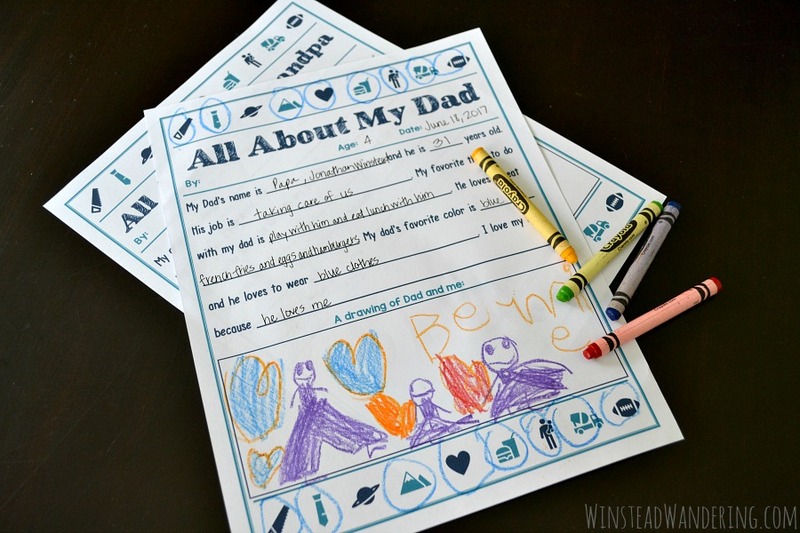 Dad will love reading back over each year’s interview every time Father’s Day rolls around. You could stick them all in a small binder, or you could frame page from the most recent year, storing the pages from each previous year behind it in the frame. 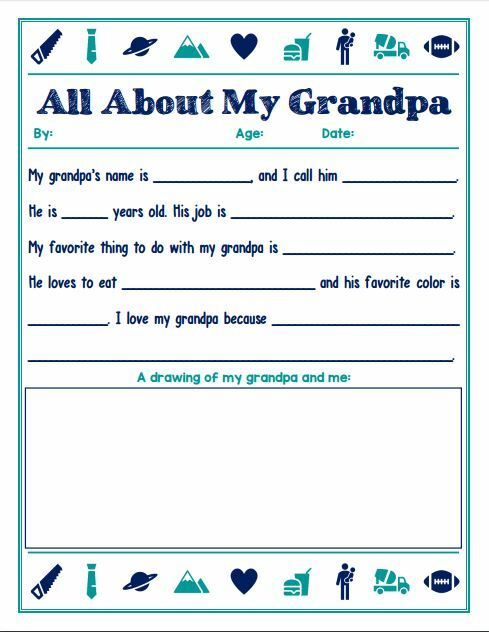 Even if you only manage to get your child(ren) to complete the page, their father or grandfather is sure to love the sweet personalized gift. 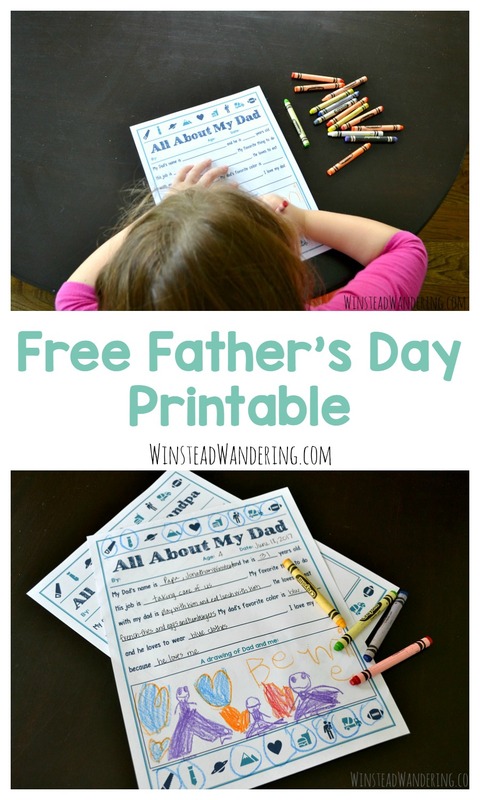 Don’t forget to pin this Free Father’s Day Printable for next year! Gifts For the Foodie: the best gift inspiration for the person in your life who loves to cook, bake, and feed family and friends. This post contains affiliate links. That means, when you make a purchase through one of the these links, I get, at no additional cost to you, a small commission. You can view my disclosure policy for more information. Shopping for a foodie- someone who loves everything food-related, from cooking to eating to baking- can be tough. Often, it feels like those people already have most of what they need when it comes to kitchen tools and gadgets. Here’s a list of products the foodie in your life might not own, but would definitely love to. I hope you find something perfect for your foodie! Rectangular Baker, $40 | For someone who loves to cook or bake, you can’t go wrong with cute bakeware. Most of us have a kitchen full of bland white Corningware or glass Pyrex. It gets the job done, but it isn’t as fun as some of the adorable options out there now. If the piece in the photo isn’t the right style, you might consider this pie plate or these ramekins. Graze Snack Box Subscription, $12 a month or give a voucher | You can read all about my honest thoughts on Graze boxes, but the gist is this: your food-lover will get 8 individually-portioned snacks delivered each month. They’re all unique and will be a fun change from the norm. Flour Water Salt Yeast Cookbook, $20 | Bread is the Everest of the kitchen for a lot of home cooks. Whether your foodie has conquered that beast or not, there’s a recipe in this book that will be just the right skill level. Decorative Cake Stand, $32 | Is your foodie still showing off mouthwatering cakes on a regular platter? Put an end to that by gifting a beautiful cake stand. Bonus: he might just love it so much he finds the need to show it off immediately by baking a cake from scratch. Hand Blender, $34 | If your foodie is anything like a lot of the foodies I know, she probably has a running wishlist of kitchen items she’d love to own. There’s a good chance an immersion blender is on that list. This stick blender is a super convenient way to puree sauces, soups, or dips without dirtying up a big blender. Flour Sack Kitchen Towels, $4 | If you’re on a budget, you can’t go wrong with an adorable set of kitchen towels like this one. Flour sack towels are versatile and especially convenient for those who do a lot of baking. Target has an unbeatable selection. KitchenAid Mixer Attachments, $40-$100 | Your foodie very likely has a KitchenAid stand mixer– if not, I highly recommend hitting up a few other people for a group gift- but did you know simple attachments can turn the mixer into a pasta roller or a spiralizer, peeler, and corer or a food grinder? Gift an attachment that will make life in the kitchen easier and, if your budget allows, throw in a related cookbook, too. Whisk + Scraper, $12 | Anyone who spends time in the kitchen will have a deep appreciation for this whisk that also scrapes the sides of the bowl. If you’re looking for an inexpensive gift, a life-changing whisk like this one is going to give you the most appreciation per dollar. Kitchen Apron, $26 | Target has dozens of aprons featuring everything from macarons to landscapes to inspirational quotes. There’s got to be at least one that perfectly fits your foodie’s personality. Beverage Dispenser, $33 | Part of being a foodie and loving to cook is loving to feed others, too. This glass beverage dispenser holds more than four liters and has a subtle honeycomb pattern. It’ll be your foodie’s favorite thing to show off at the next gathering. Throw in some adorable drinkware to complete the gift. What’s your go-to gift for foodies? He’s hard to shop for, and all the options out there can be overwhelming. Take the guess work out of gift-giving with this guide to gifts for the Star Wars lover. This post contains affiliate links. That means that, when you make a purchase using these links, I make, at no extra cost to you, a small commission. See my disclosure policy for more information. My husband has been a Star Wars fan for as long as I’ve known him. It’s pretty fun to watch his excitement over the new movies and, as a gift-giver, it’s awesome to see a resurgence in Star Wars-related merchandise. It’s a little overwhelming, though, too. You can buy everything Star Wars: from Easter eggs to toothpaste to chewing gum. Sorry, you won’t find links to any of those products here. What you will find is a mix of useful and nostalgic gifts for the Star Wars lover in your life. Lightsaber Tongs, $30 | Is it not every Star Wars-loving dad’s dream to wield a lightsaber? Now he can, at the same time he’s manning the grill. Don’t stop there, though: outfit him with a Darth Vader apron, too. Millenium Falcon Graphic Tee, $13 | A distressed graphic tee with a subtle Star Wars reference is the perfect go-to gift for anyone who even remotely loves the franchise. Bonus: this red, white, and blue shirt means he’ll be ready for July Fourth, too. If this tee isn’t his style, Target has a whopping 31 other options to choose from. Darth Vader Tervis Tumbler, $18 | J owns no fewer than two Star Wars Tervis tumblers. We have three if you count G’s mini Storm Trooper that matches his Papa’s. Those things get used all the time, by everyone in the house. Your super fan should definitely own one, too. If Darth isn’t his thing, there are tons of other options. Trivial Pursuit DVD Star Wars, $75 | You can get Star Wars versions of pretty much all your favorite board games: Sorry, Operation, Monopoly. But if you really love your Star Wars fan, you’ll give him the chance to show off his extensive knowledge with a trivia game. Star Wars Glasses, $20 | Sure, it’s fun to see Star Wars mania perpetuated for another generation, but we all know the original movies will always be the best. These glasses are a fun throwback nod to the nostalgia of the movies we grew up watching. The Force Awakens, $17 | Duh, right? Any self-respecting fan already owns the first six movies, but maybe he hasn’t made time to buy the latest yet. If that’s the case, this gift should definitely happen. Star Wars Blueprint Tie, $24 | I’ve never worn a tie, so I can’t say for certain, but I’m thinking nothing makes wearing one bearable quite like knowing it features images from your all-time favorite movie franchise. The Force Awakens Boxers, $9 | For the first several years we were dating and married, I’d always give J a pair of boxers for holidays and special occasions. Somewhere along the line we both forgot about the tradition, but I’d say these boxers would be the perfect way to resurrect it. Star Wars Mural, $114 | Buying him Star Wars memorabilia that you then allow him to affix to your walls is pretty much the ultimate act of love. The good news is that it’s removable, but still, sorry J, you won’t be unwrapping this as a gift any time soon. Wood Wall Clock, $24 | This clock would be the perfect way for your fan to bring a little of his personality into his office or temporary work space. It’s cordless, which is convenient, and it has good reviews from people who’ve purchased it. No magazine-worthy crafts here; just practical cheap & easy ways to make Valentine’s Day special for kids. We’ve all seen those elaborate Pinterest-worthy holiday crafts, right? If I’m telling the truth, I envy those moms who have the time, money, and ability to put those crafts together; I know how special holidays must be for their kids. Maybe, like me, you’re not one of those moms. Fear not. You don’t have to be Martha Stewart to pull off the things included here. 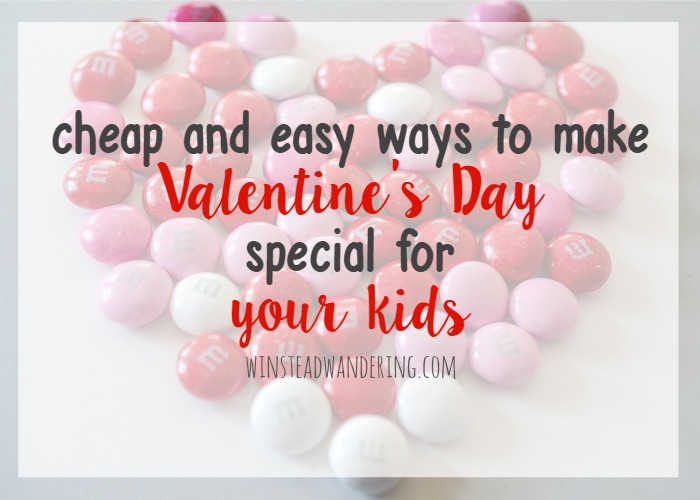 I’ve compiled a list of cheap & easy ways to make Valentine’s Day special for kids. This is one of my fondest memories from childhood. There wasn’t a lot of money in my house growing up, but that didn’t stop my mom from making holidays special for us. One of the simplest things she did that was so fun was add food coloring to our pancakes and milk for breakfast. She’d use red dye on Valentine’s Day and green dye on St. Patrick’s Day (my little brother’s birthday). If you don’t usually make a full breakfast in the morning, this would be a great year to do that because Valentine’s Day falls on a Sunday. You could easily make a weekday holiday special by coloring milk for breakfast cereal or dying oatmeal. Obviously, you could adapt this idea to fit any meal or snack of the day, but I love the idea of starting their morning with something so fun. Our kids, especially our five-year old, love to read. Buying a Valentine’s Day book is the perfect way to celebrate the day as a family while adding to your book collection. G is obsessed with The Berenstain Bear’s right now, so this book is on my wishlist. 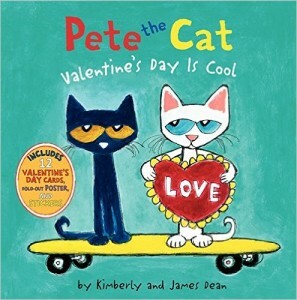 A few other options that include characters from classics: Love from the Very Hungry Caterpillar, Pete the Cat: Valentine’s Day is Cool, and Happy Valentine’s Day, Mouse! (with the If You Give a Mouse a Cookie mouse). My favorite thing about this idea is that the book can be read for years to come. If your kids are school-age and take their own lunches, it wouldn’t take too much extra effort to create a Valentine’s Day themed lunch. You could cut everything into a heart shape, or just stick with a red and pink theme: strawberry jelly on the sandwich, Babybel cheese, cherry or grape tomatoes. Take the whole thing over the top with a themed paper napkin. February 14 doesn’t have to be a day of obligatory gifts and unmet expectations. 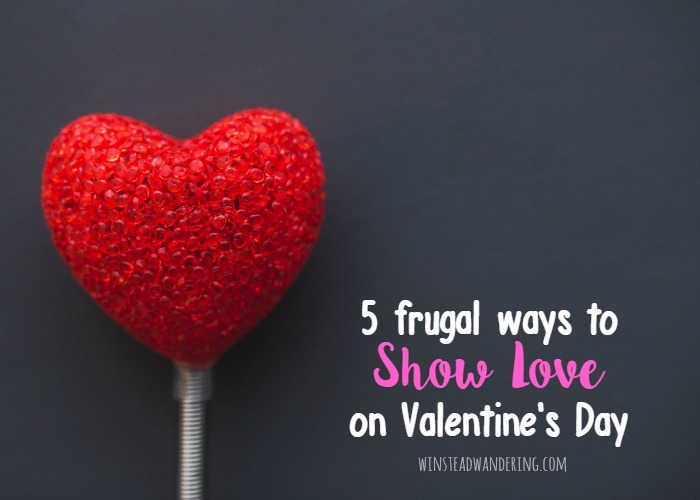 Make the day special with these 5 frugal ways to show love on Valentine’s Day. Valentine’s Day is a polarizing holiday. On one side, you have Team “every day should be a celebration of love.” Those people argue that February 14, is a “Hallmark holiday”, a day manufactured by greeting card companies and chocolate makers to boost sales. They say that, if you really love someone, you’ll spend all 365 days each year showing it. On the other side, you have Team “Valentine’s Day is a day for you to lavish me with all the presents I didn’t get at Christmas”. That team asserts that… well, I’m not sure what their reasoning is. I fall somewhere in the middle. In no way do I think V-Day should consist only of the obligatory exchange of gifts. I also don’t think it’s necessary to skip the day altogether. I think that, like Thanksgiving, Valentine’s Day should serve as a reminder to treasure the things and people we should be grateful for every day. 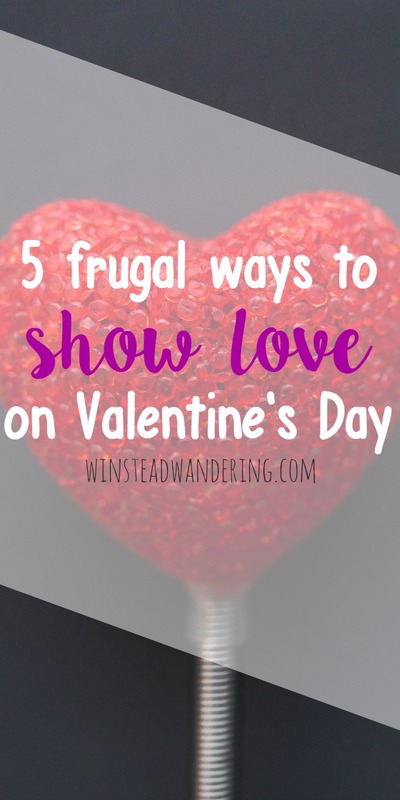 For those of us who want to find a way to our love to the special people in our lives without breaking the bank or giving into the commercialization of the holiday, I have 5 ideas to help you out! Hop over to Money Saving Mom for the rest of the post! Homemade Christmas gifts are the perfect way to save money and add your own special touch to every present you give. One of the best things about having children- aside from the unconditional love and the constant companionship and the general adorableness- is the endless gift-giving possibilities. You can get away with giving all kinds of presents that are unacceptable when you’re childless: crayon scribbles that will lovingly be referred to as art and photos that will be cherished for years. While framed photos are nice, they’re also boring. 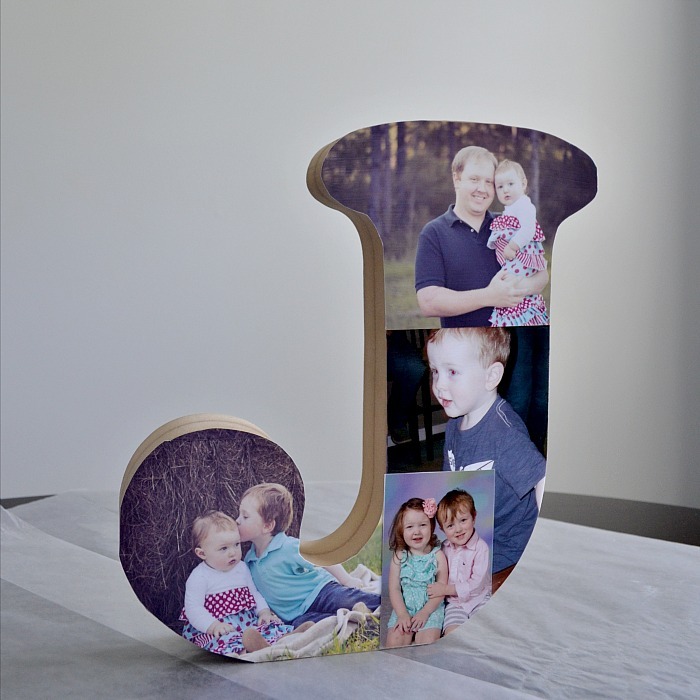 For just a little extra effort, you can create custom gifts that are both functional and sentimental. Because if there’s anything parents and grandparents love more than hanging photos of their grandkids on their walls, it’s covering every available surface with them.